Bouquet "Tender bride". 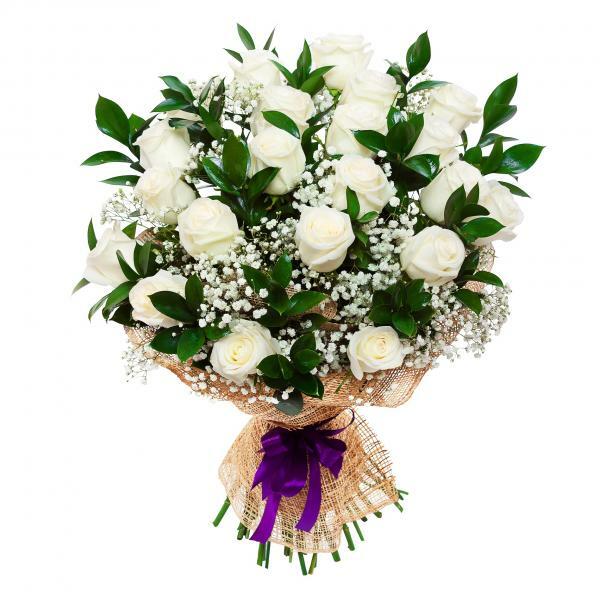 【SLAVIC GIRLS (WOMEN)】, ukraine girls your brides, russian girl for marriage..
White noble roses perfectly combine with greenery and small twigs of gypsophila in this tender bouquet. It conveys your most sincere and exalted admiration to the lady of your choice. A lady will definitely appreciate such an exquisite sign of attention from you. These flowers speak better than words! The bouquet consists of 21 white roses, 16 branches of ruscus, 6 twigs of gypsophila, a ribbon and a wrapping.